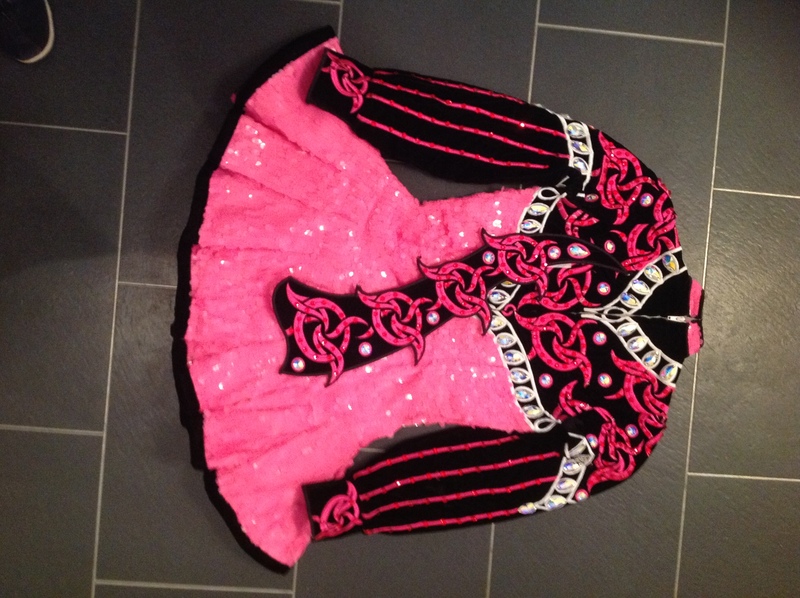 Stunning dress will best suit a dancer aged approx 13-16 years of age. The item is in very good condition purchased only 11 months ago, sale forced due to growing spurt, we will be sad to see it go. The dress in feb 2013 cost £1550 + £ 400 worth of stones and dalmontes. 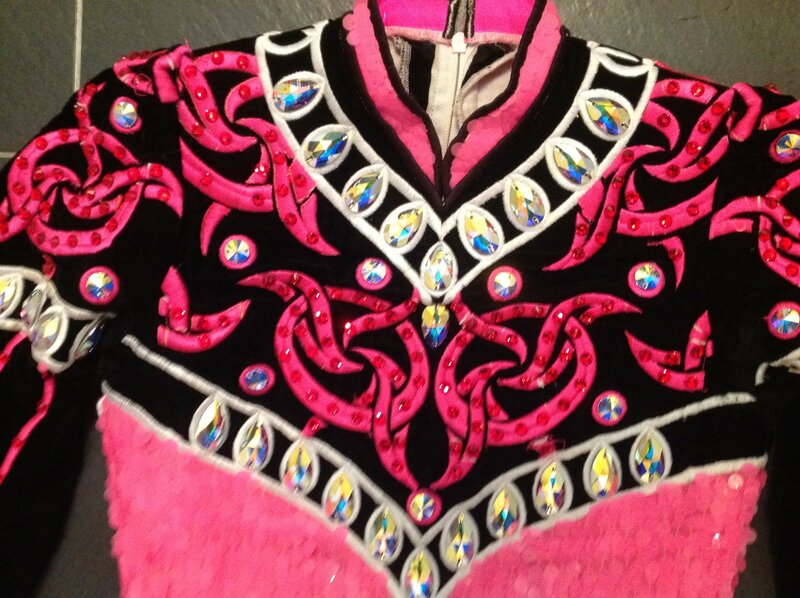 The upper bodice and arms are velvet with various material infill and stones. 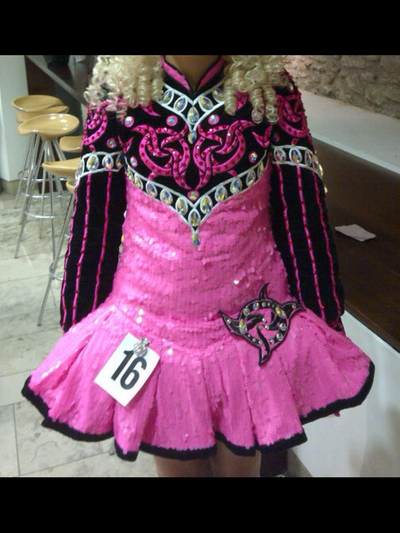 The Lowe bodice and skirt is made of large pink sequins. Let the photos do the talking….. 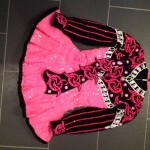 There is a little room in the dress to let out but not much, the dress needs a good home, if you are looking for a cheap bargain please consider others, but as you can see there is a very reasonable price on this dress, if you want a great dress for an up and coming dancer, then get buying!!!! There is minor competition wear and a little tan on the interior, but not much and cannot be seen at all. Asking Price: £795.00. Shipping costs are not included in the asking price. Sale is final.